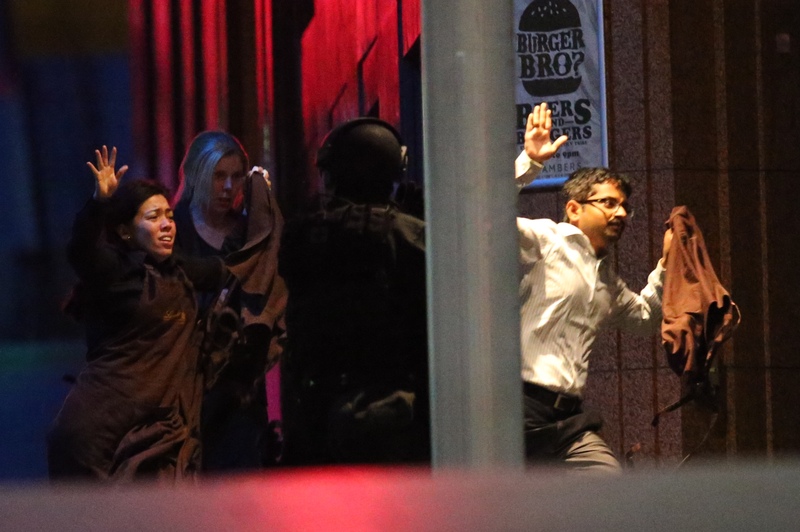 Australians took to Twitter shortly after a suspected Iranian-born Islamic extremist captured several hostages at a Sydney cafe. They created a hashtag in order to show solidarity with the country's Muslims who may be fearful of a potential anti-Muslim backlash. Several hostages were reportedly seen with their arms and hands up against the windows of the Lindt Chocolat Cafe, where some were holding up an Islamic flag with the Shahada, or general declaration of faith in Islam, written on it. The Shahada translates as "There is no god but God and Muhammad is his messenger." It is one of the five pillars of Islam. Monis was originally a Shiite, but appeared to be somehow in support of the Islamic State of Iraq and Syria (ISIS), a Sunni extremist group that has frequently targeted Shiites in its campaign. Following the hostage siege, the hashtag #illridewithyou emerged. Citizens offered to ride on public transportation with Muslims wearing traditional clothing.